Unlike "all-in-one" additives, AMSOIL fuel additives are formulated to provide quick results. However, while motorists expect fuel additives to deliver nearly immediate results, typical “all-in-one” additives require use for several tanks of fuel before providing any noticeable performance improvement. Most people don’t want to wait that long or commit to buying several bottles of a fuel additive. To understand why additive performance varies, you should understand why your engine may need a fuel additive in the first place. For optimum fuel efficiency and lower emissions, fuel must first be atomized into a fine mist prior to combustion. Over time, injector deposits produce irregular spray patterns with heavy streams of gasoline that reduce performance (see injector “before” image), while intake valve deposits also decrease efficiency. Today’s injectors are highly engineered to tight tolerances, and even minute deposits interfere with the spray pattern and reduce power and fuel economy. The problem is especially pronounced in newer high-pressure common-rail (HPCR) diesel engines and in direct-injection engines that locate the injectors in the combustion chamber, exposed to intense heat. Fuel additives help clean engine deposits and restore lost power and improve fuel economy. However, most additives don’t contain a sufficient concentration of cleaning agents and other performance-improving chemicals to provide the nearly immediate results you expect. Instead, after using the additive with every tank of fuel, over some period of time – possibly weeks to months – you may experience a slight up-tick in power, fuel economy or drivability. Continued use with every tank of fuel maintains engine performance. AMSOIL fuel additives, however, are different. As performance concentrates, they boast potent formulas designed to provide nearly immediate results. AMSOIL P.i. Performance Improver, for example, does an excellent job cleaning deposits to improve fuel economy up to 5.7% and an average of 2.3%. The before/after images show the results after just one tank of fuel treated with P.i. AMSOIL applies the same philosophy to all AMSOIL fuel additives. 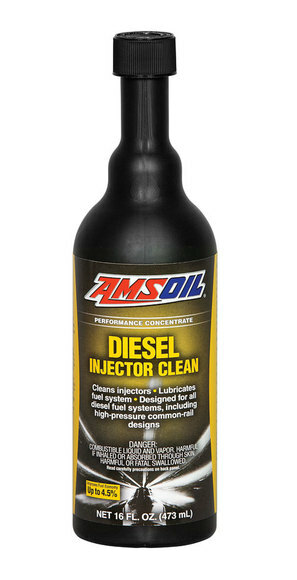 For example, AMSOIL Diesel Injector Clean provides the lubricity needed to protect the fuel pump and injectors while cleaning deposits for peak performance. AMSOIL Quickshot, meanwhile, cleans powersports fuel systems and fights ethanol problems to help you get the most out of your motorcycle, snowmobile, lawn mower and other equipment. Removes performance-robbing deposits from diesel fuel injectors to restore horsepower and improve fuel economy. 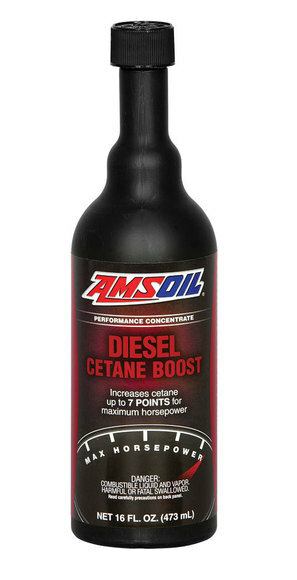 It is formulated for all types of diesel engines, including high-pressure common-rail designs. 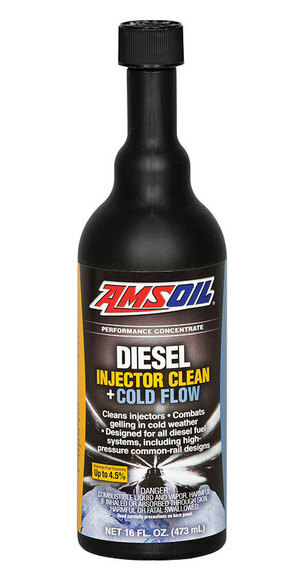 AMSOIL Diesel Injector Clean makes no sacrifices; it is purpose-built for diesel owners who demand maximum results. Formulated with an advanced deicer to enhance fuel flow and help prevent fuel filter plugging in cold temperatures. 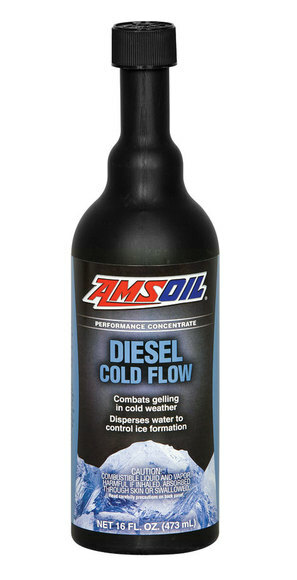 AMSOIL Cold Flow Improver is formulated for a broad range of diesel fuels, including #1 diesel, #2 diesel, biodiesel and ultra-low-sulfur diesel (ULSD). 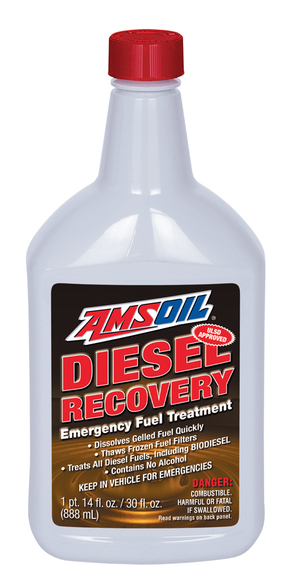 Combines the superior detergency of AMSOIL Diesel Concentrate (ADF) and the excellent anti-gelling properties of AMSOIL Cold Flow Improver (ACF) in one convenient package, without sacrificing performance. Keeps injectors, rings and piston crowns lubricated and free of soot. Most lubricating oils are formulated with chemical additives that enhance the beneficial properties of the base oil or make up for oil deficiencies. For passenger car motor oils, base oil makes up 70 to 80 percent of the final product; additives comprise the other 20 to 30 percent. Additives help lubricants withstand extreme operating environments. Even the best base oil cannot protect as well against the effects of heat, shearing forces, chemical and water dilution, corrosion and wear particles. In short, additives make good base oils better. They give good base oils the performance benefits consumers expect, such as multi-grade performance, extended drain intervals and extreme-pressure performance. Chemically react to form a film barrier that prevents metal-to-metal contact and wear. Reduce the tendency for oil to react with oxygen and reduce sludge buildup. Help suspend and disperse contaminants in the oil to keep engine surfaces free of sludge and deposits. They fight the build-up of corrosive acids and are most efficient at controlling low-temperature deposits. Help suspend and disperse contaminants in the oil to keep engine surfaces free of sludge and deposits. They are most efficient at controlling high-temperature deposits. Coat metal surfaces to help prevent close-contact components from seizing under extreme pressure. They are activated by high temperatures and high loads to react with the metal’s surface to form a sacrificial wear layer on components. Reduce the surface tension of air bubbles and causes them to collapse. Can be used to give oil more ‘slippery’ characteristics. In motor oils, friction modifiers are used to increase the oil’s lubricity for the purpose of reducing friction and improving fuel economy. Give high-viscosity oils good low-temperature properties. Pour-point depressant polymers inhibit the formation of crystals to minimize low-temperature viscosity increase. Form a protective barrier over component surfaces to seal out water and contaminants. While most rust and corrosion inhibitors work by forming a physical barrier, some rust inhibitors function by neutralizing acids. Are long-chain polymers that help control the viscosity of multi-grade motor oils. They expand and contract as temperatures vary. High temperatures cause VI improvers to expand and reduce oil thinning; low temperatures cause VI improvers to contract and have little impact on oil viscosity.